We’ve got a difficult task ahead of us. But we won’t be deterred. The new IPI-led Accessible Parking Coalition is on a mission to eliminate disabled placard (and plate) abuse and make accessible parking more available and usable to people with disabilities. If you’ve been following our efforts, here’s an update. The Accessible Parking Coalition website at accessibleparkingcoalition.org, or parking.org/apc is now open for business. The website is a national resource center designed to share resources so no one has to re-invent the wheel and waste their (or taxpayer) funds on work that has already been done on this issue. Deterring Access Aisle Violations Fact Sheet – University of Kansas Research and Training Center on Independent Living. A Guide for Medical Professionals -Illinois, Office of the Secretary of State. San Francisco Mass Transit Authority Parking Meter Revenue Audit Report. Model Legislation – HB18-1285 for a two-tier placard act signed into law May 2018. S. Access Board animated video explaining parking and passenger loading zones. Pilot Study of Alternative Signage to Reduce Accessible Parking Space Violations – George Mason University with Fairfax (Va.) Area Commission on Aging. Los Angeles Accessible Parking Policy Advisory Committee Report – Los Angeles DOT. Infographic on findings of National Survey of People with Disabilities – Accessible Parking Coalition. Texas Study on Accessible Parking and Disabled Placard Abuse – Texas Governor’s Committee on People with Disabilities. New publication: Persons with Disabilities Placards and License Plates – Best Practices in Deterring and Detecting Fraud and Misuse – America Association of Motor Vehicle Administrators (AAMVA) and NHTSA/DOT. Search the website by role (i.e. parking professional, citizen activist, enforcement) or use the search bar and type in the name of a document, an organization or state. Do you have resources to share? Please upload them at accessibleparkingcoalition.org/share. There’s a questionnaire you’ll need to fill out that enables you to provide a summary of your resource, confirms that you have copyright/intellectual rights to share, and other information that helps us catalog and post material based on the intended target audience. Please tap into the resources available and share any intel you have! 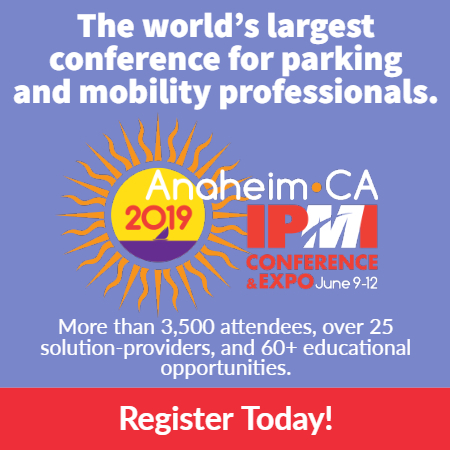 Work on the Accessible Parking Coalition is part of IPI’s Parking Matters® Committee efforts. Contact me at sullivan@parking.org for more information. Helen Sullivan is IPI’s communications counsel.